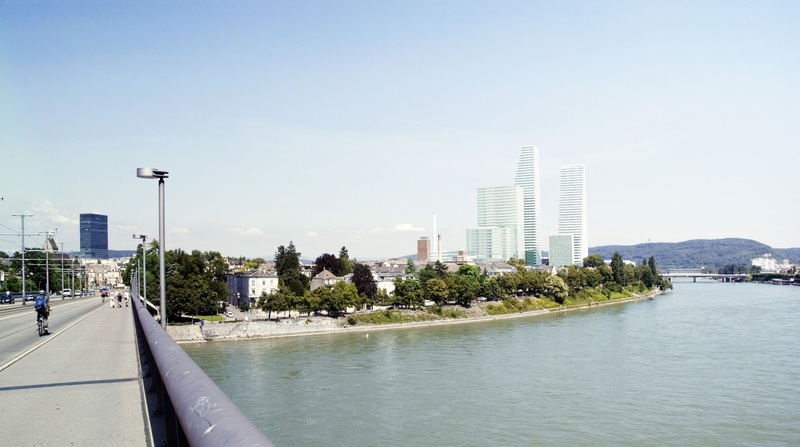 Roche development plan for its Basel site. 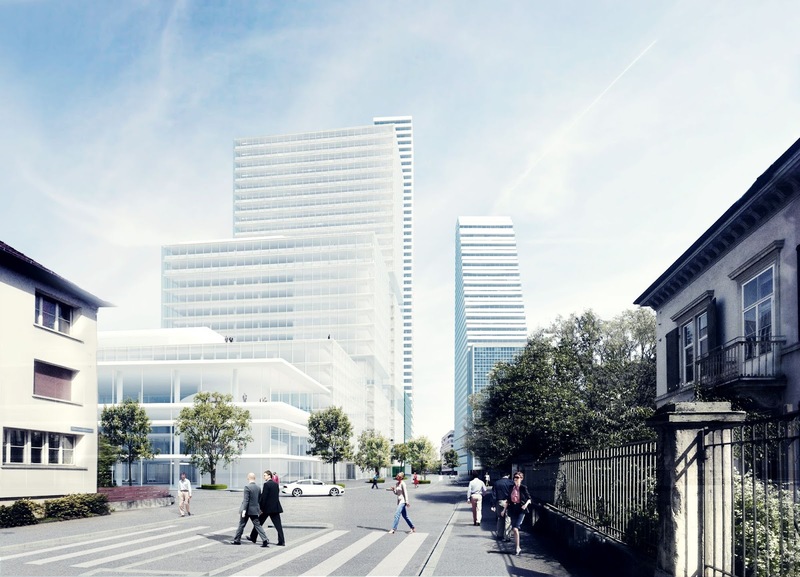 Over the next 10 years, Roche will invest 3 billion Swiss francs in the construction of a new research and development centre for around 1,900 employees and in renovating the historic office building designed by Otto R. Salvisberg. 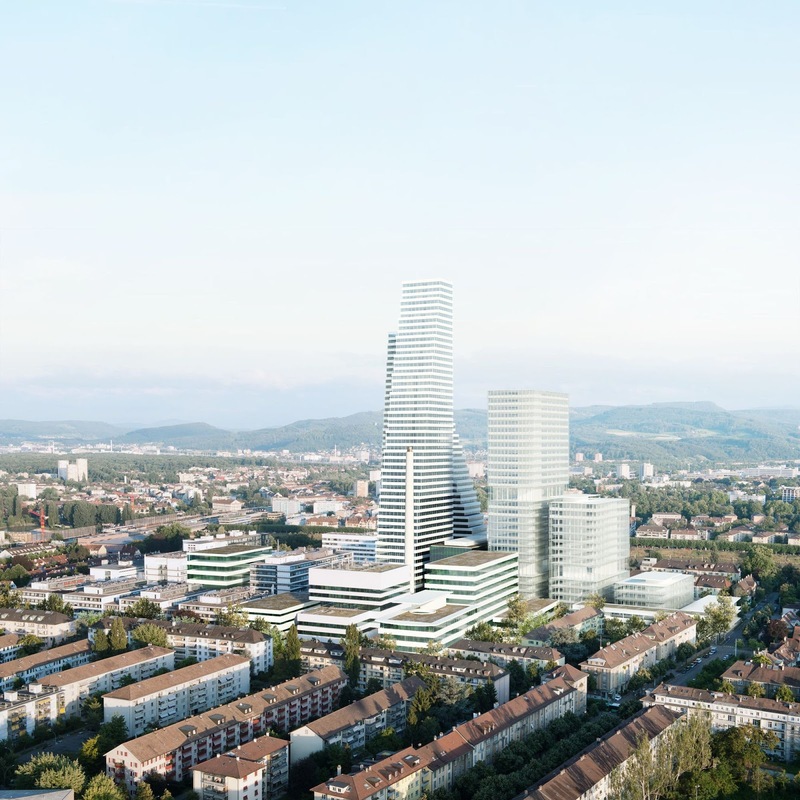 The development plan, created by Herzog & de Meuron, will bring a large part of the Basel workforce together in modern laboratories and offices on the main site who are presently spread across the city of Basel. 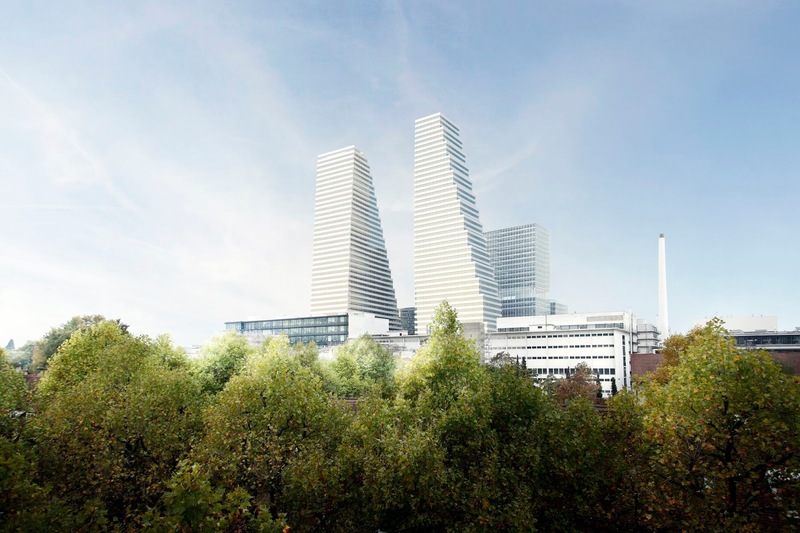 Plans also include a new office building in the interior of the Roche site that will be 205 m tall (approximately 50 storeys) and provide space for up to 1,700 office workplaces. 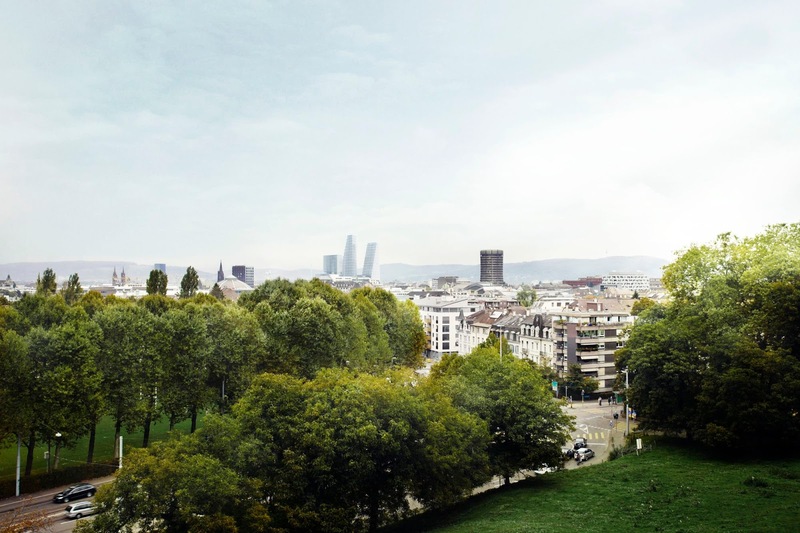 Building 2 is expected to be ready for occupation by 2021.